Legal marketing via blogging is one of the best ways to meet them where they are. You have to consider also that sometimes people have to be convinced that their legal problem is severe enough to hire you. You have no doubt heard of cases where claimants strike out on their own because they didn’t realize the complexity of the legal issues and processes at hand. They end up doing very poorly. 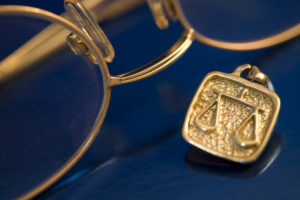 A legal blog is one way to illustrate to potential clients – via the experiences of others – how individuals in similar circumstances benefited from hiring a lawyer. If you’re attending a luncheon or reception, you don’t need to hand your card out to everyone you meet. Instead, take their cards, and email them with a personal note later. There’s a better likelihood they will remember you. Post your tweets – or schedule them to post – between 1 p.m. and 3 p.m. Eastern Standard Time, which is when there is the highest click rate. Attend bar association events. This can help with future referrals. Look at the city’s business publications to get a sense of the kinds of legal needs that aren’t being met, as well as the future areas for which people may need legal counsel. If attending a business event, ask for a guest list beforehand. This will help you identify people you want to meet. Consider talking to reporters, where appropriate. Offer to provide them background information on a legal topic they may be looking into. Instead of reciting your title, open conversations by telling people what you do. If you refer potential clients to other attorneys, make sure you let that attorney know. The hope is that they will return that favor someday. But even the ABA recognizes the value of legal blogging. In fact, it’s listed as one of the top recommendations, with the correct assertion that fresh, original content is the best way to attain a foothold with Google algorithms.